We have been battling a gale most of today. The day started OK, bright and sunny. We did three loads of washing whilst connected to the water point, then set off about 9:00. I called the Keadby lockie who said that we would need to be there by 7:00am tomorrow in order to catch the tide. That would have been a bit of a push, so we booked in for Thursday at 8:00 instead. As we approached the first lock the sun was in my eyes and I didnt see that the light was on “red” (stop) rather than “amber” (boater operated). Then I saw why, out of the lock came a very large gravel barge! At that exact moment the sky decided to start chucking it down with rain, but we managed to get into the lock OK. The lockie put us through quickly and we were on our way. The wind was blowing really strongly as we made our way along the New Junction Canal. 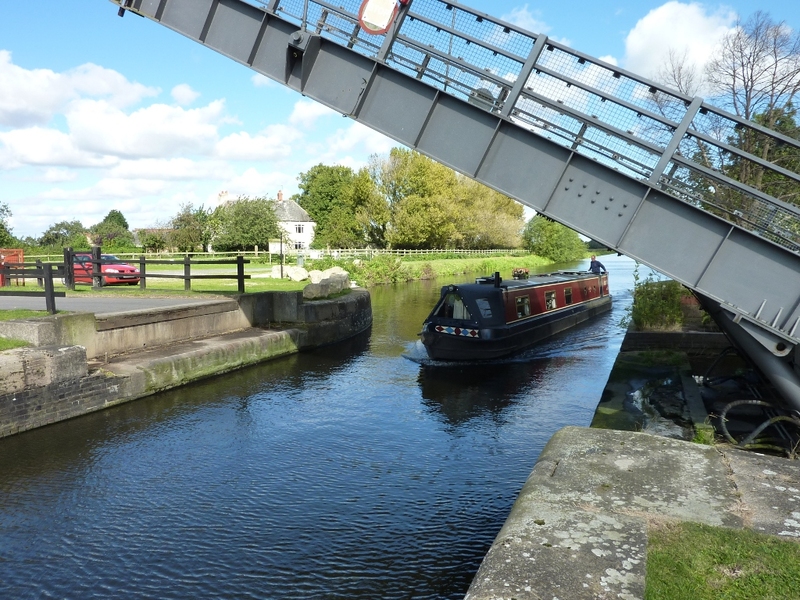 Here there is a series of lift & swing bridges. Approaching and leaving the landing stages either side to drop off and pick up crew was extremely difficult! 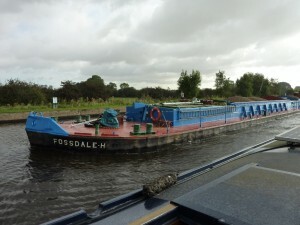 Next we turned onto the Stainforth & Keadby, this a little smaller and reminded us of the Gloucester & Sharpness. A short shopping trip in Thorne then moored up for the night at about 4:30.